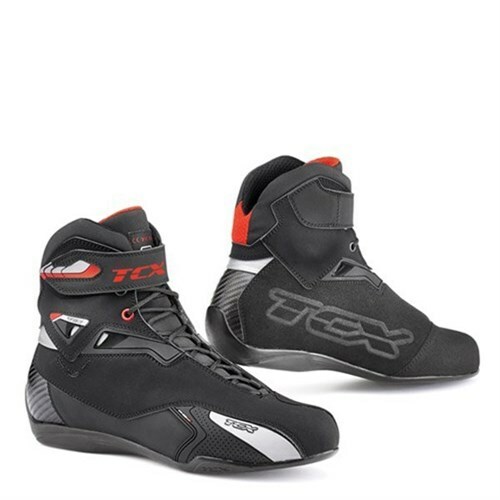 Here at Motolegends we offer more than 170 different styles of motorcycle boot; everything from a super, heavy-duty Sidi off-road boot to a Daytona for those with extra, extra wide feet. But, these days, more and more motorcyclists want to ride in a shorter, ankle boot. 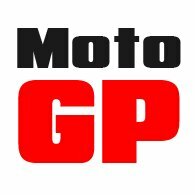 And we do many of the best, from brands like Belstaff, Daytona, Falco, Furygan, Helstons, Icon, Stylmartin, TCX and so on. With the weather we’ve been having recently, though, there’s been more demand for ever lighter, easier to wear and cooler boots, as a way of coping with the heat. We’ve got loads and loads of boots that meet this particular brief, but here we have selected just 10 of our favourite pairs. Take a look. We hope you see something you like. 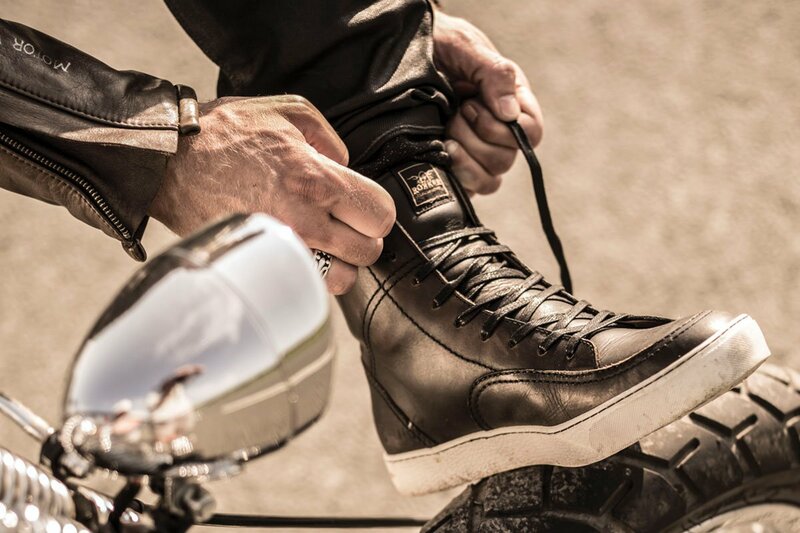 The Iron is a rather superior, sneaker-style motorcycle boot. 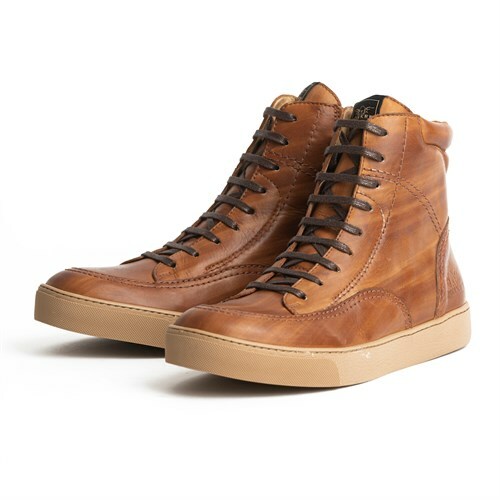 They’re made from a full-grain waterproof leather that is lightly patinated for a worn look. The boots have ankle protectors and a shank in the sole. On the forefoot, there’s a gear-change pad. The boots also have a waterproof membrane. 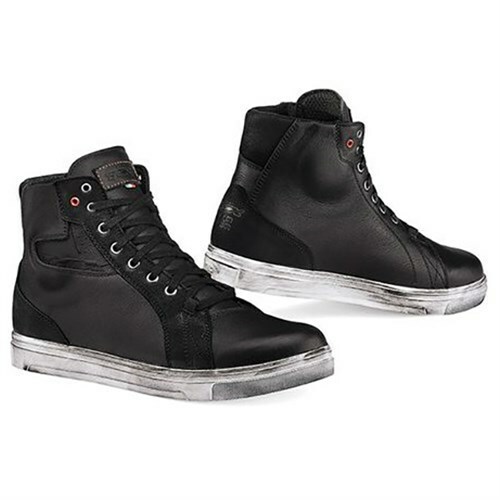 The Street Ace is a classic, sneaker-type motorcycle boot. 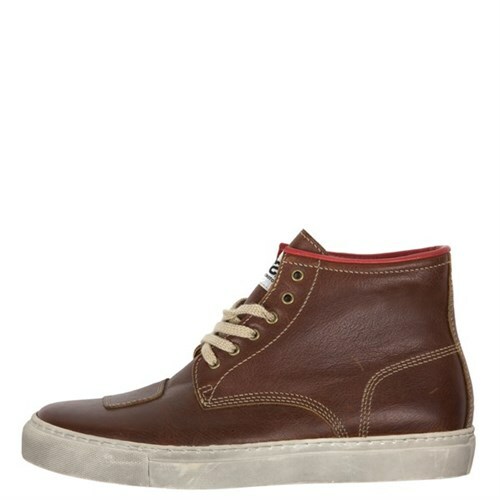 It’s made from full-grain leather, and comes in black or brown. There’s reinforcement in the ankle, heel and toe areas. 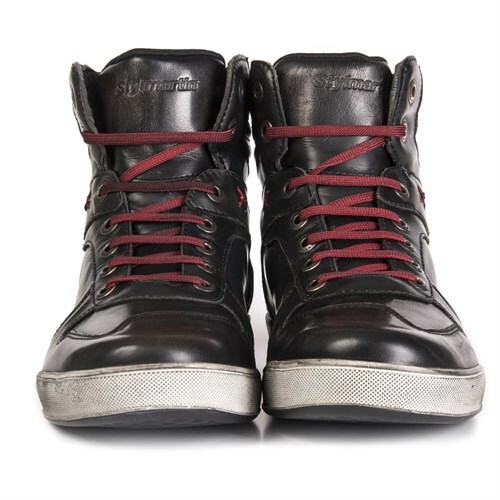 Although the leather has been treated for waterproofing, the boot also has a waterproof membrane. 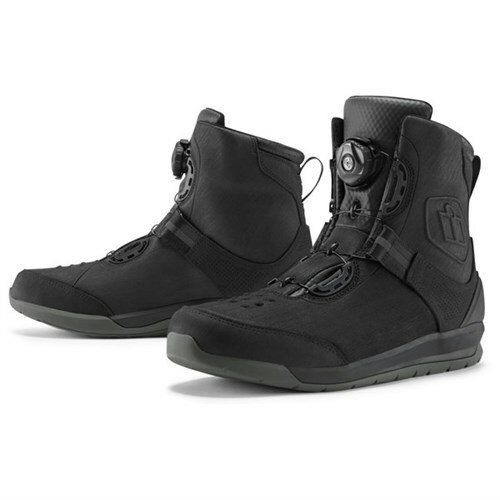 This is Rokker’s newest boot. 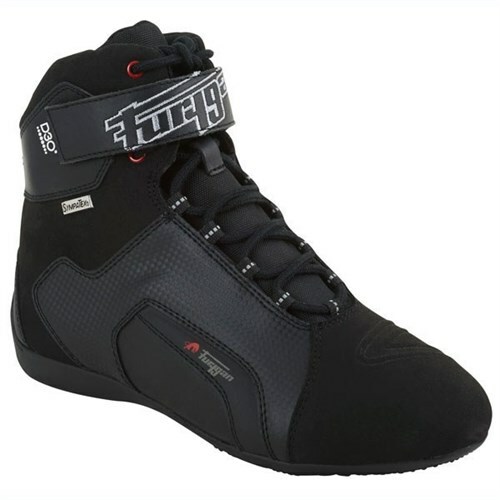 It is quite simply the most luxurious and most comfortable motorcycle boot ever. The leather is gorgeous. 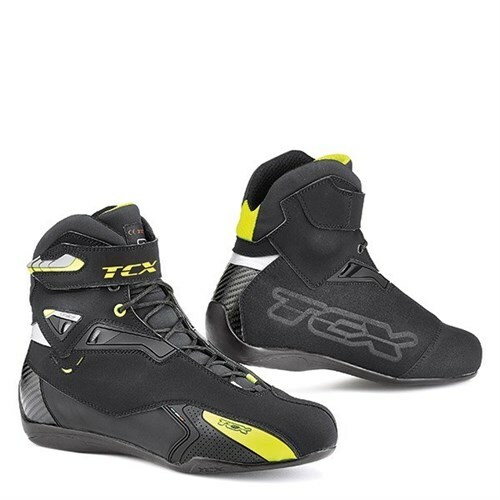 Is it the strongest motorcycle boot you can buy? Certainly not! And at almost £300, it’s not cheap. But it’s as cool as it gets, and there’s never been a bike boot that’s nicer to wear. It comes in brown or black. 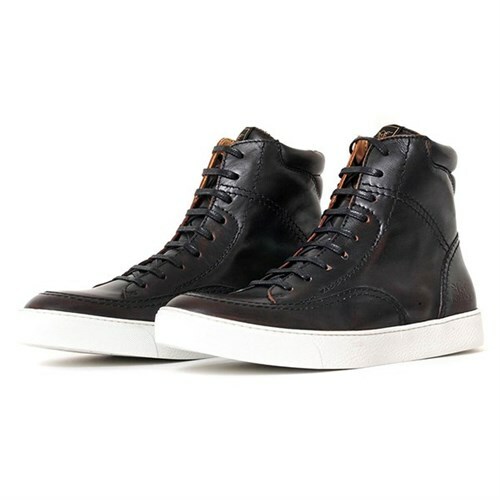 The Basket is a calfskin boot that also happens to be calfskin lined. 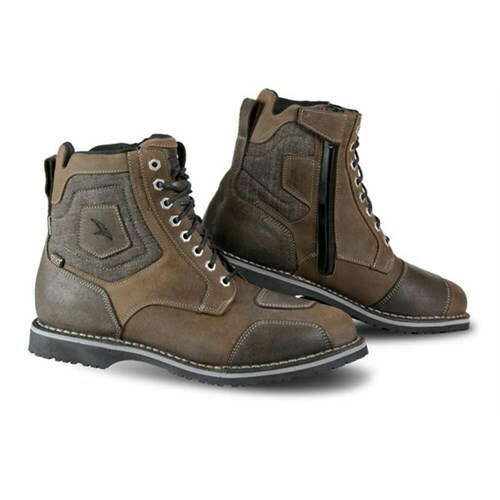 It comes with a gear change pad and a waterproof treatment that still allows the boots to breathe in hot weather. They come in black (very dark blue) and brown. 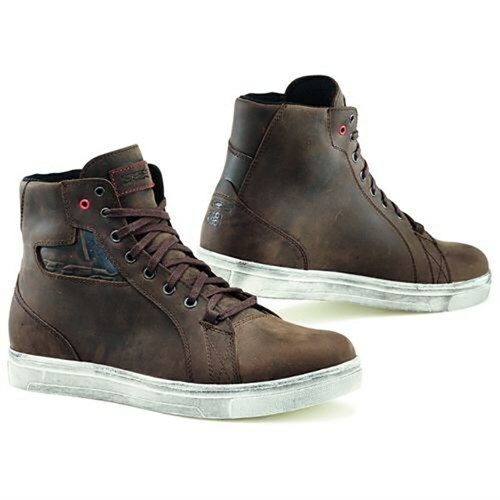 They’re similar to Rokker’s City Sneakers, but for most people they’re probably not quite as comfortable. They are, though, half the price of the Rokker boots. 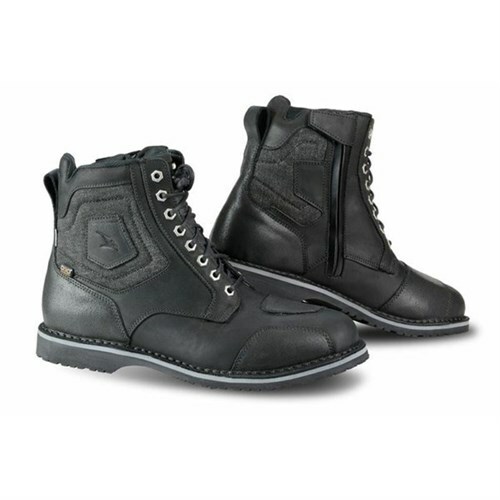 The Jet D30 is made from cowhide, with protectors on the ankles, heel and toes. A Sympatex membrane means that these boots are fully waterproof. The boots lace up, but there’s a Velcro strap to keep the laces in place. 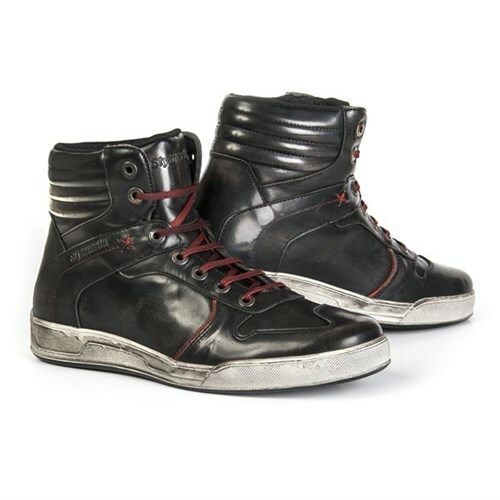 They’re different to many motorcycle boots; in our eyes they’re a bit more urban. About as easy to wear as a motorcycle boot gets. 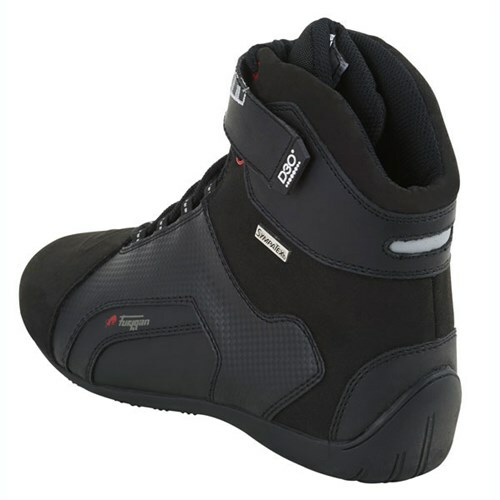 The X-Groove has ankle, heel and toe protectors, a full Gore-Tex membrane and, for ease of entry and exit, a side zip. It’s a bike boot, but from the outside you’d never know it. We like the Rush. It has a slightly sporty feel that means you can ride everything from a Fat Boy to a Panigale in them. The ankle support is higher than on most short boots. You get ankle, heel and toe protectors, and you get a full waterproof lining. The Falco Ranger is more like a proper biking boot than a trainer, yet it is still light and easy to wear. It has toe and heel protectors, and D30 inserts in the ankle. The sole is a stitched Goodyear affair. These boots lace up, but there’s also a zip for easy entry and exit. 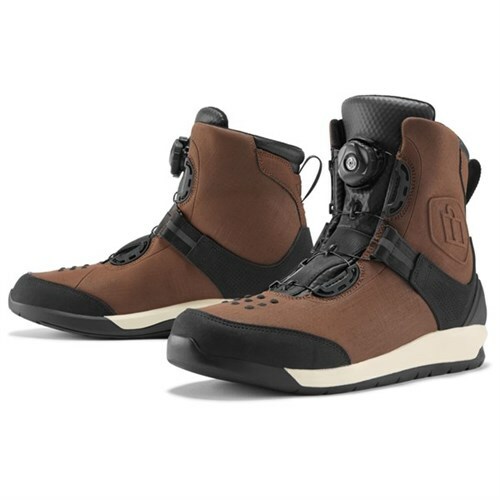 The boots come with a full waterproof membrane, and they’re rumoured to be the most comfortable, proper motorcycle boot you’ll ever wear. 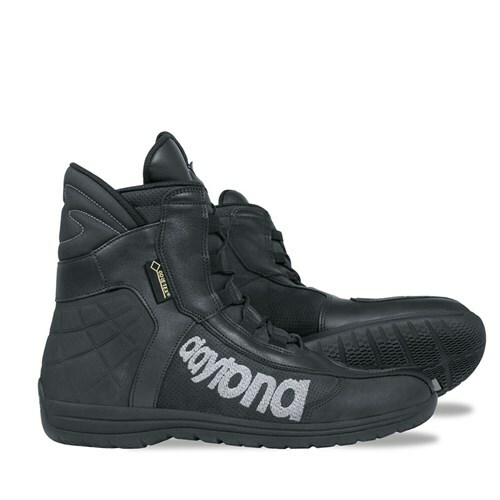 Daytona doesn’t do trendy and cool, but they make the best biking boots money can buy. The AC Dry is Daytona’s interpretation of a trainer. It’s got a high ankle, and is as comfortable as you’d expect a Daytona to be. 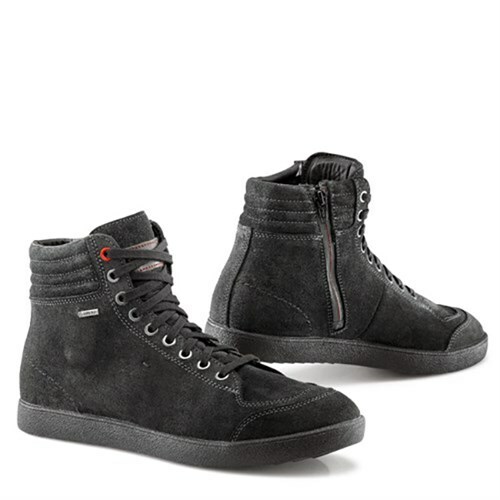 The speed-lacing system is very neat and, of course, it’s a Gore-Tex boot so you’ll stay bone dry. The Icon is made from a hardwearing material known as Tectuff that is fully coated for what Icon considers to be its highest level of waterproofing. It is reinforced in the heel, has rubber nibs for the gear change and D30 ankle inserts. The pièce de résistance of the boot, however, is its unique BOA lacing system that allows them to be fastened with a jockey wheel. It’s really neat and easy to use.